Singer Christina Grimmie looked so chic as she was photographed at the American Music Awards Radio Row Day 1 in Los Angeles on November 21, 2015. The 21-year-old kept it simple, yet, stylish in skinny pants and a smart shirt. Christina was wearing black leather skintight pants that she teamed with white and blue striped shirt that she tucked into her pants. She kept the jewellery to a minimum, wearing only a stylish gold necklace. 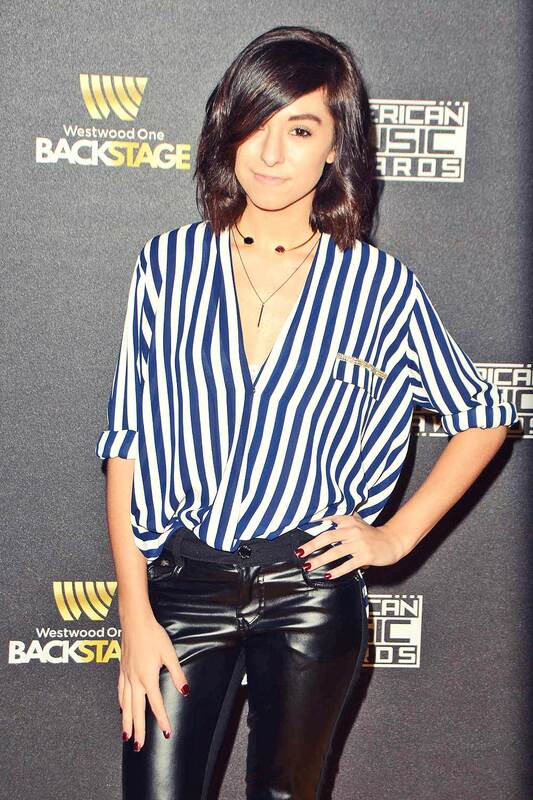 Christina looked really great in this stylish ensemble. Wearing her short locks swept to one side, Christina kept her makeup soft, finishing out the look with silver eyeshadow, few swipes of mascara and a slick of pale pink lipstick. She looked every bit cute as she flashed a lovely smile while posing for the pictures.